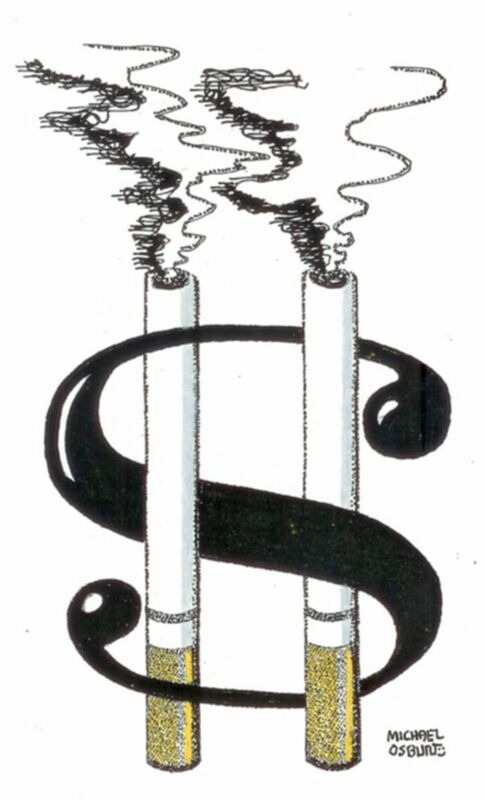 This artwork by Michael Osbun relates to the push to have graphic anti-smoking messages on cigarette packaging and what the tobacco industry says it will cost in earnings. We don’t let 18-year-olds purchase alcohol. And Washington voters set the legal age to purchase marijuana at 21. I don’t see anyone in Olympia suggesting we should lower the age to purchase marijuana or alcohol to 18. I’M proposing that we raise the smoking age in Washington state from 18 to 21. It will save thousands of lives — and Big Tobacco knows it. “Raising the legal minimum age for cigarette purchasers to 21 could gut our key young adult market (17-20),” a 1986 Philip Morris report read. Why? Big Tobacco answered that question, too. Most high school seniors can now purchase cigarettes legally, and they are often the source for younger students. Experience shows raising the smoking age will cut teen smoking. Needham, Mass., the first jurisdiction to take this important step, saw its high-school smoking rate decline by more than 50 percent. Despite this evidence and 35 bipartisan sponsors, my common-sense legislative proposal died in Olympia this past session. The opposition from leaders in both parties is disappointing. In addition to saving lives, the bill would save you money. Every Washington household pays an average of $841 annually in taxes to cover the health care costs of smoking, even if no one in that household smokes. Here’s what he’s talking about. If we raise the smoking age, fewer teens will buy cigarettes. That means less revenue for the state from taxes: an estimated $10 million dollars less annually. I’m not sure what part of this argument frustrates me more. First, the Legislature just balanced their budget on the backs of teenage smokers. How do you feel about that? Second, the Legislature doesn’t have to look very far to find the money — and it comes from Big Tobacco, courtesy of a check to the State of Washington. Every year. My predecessor, Chris Gregoire, took on Big Tobacco in a high-stakes lawsuit and won. Thanks to her leadership as our Attorney General, Big Tobacco has paid nearly $2 billion dollars to Washington state since 1998. Yes, you read that right — $2 billion. And Big Tobacco is still paying. 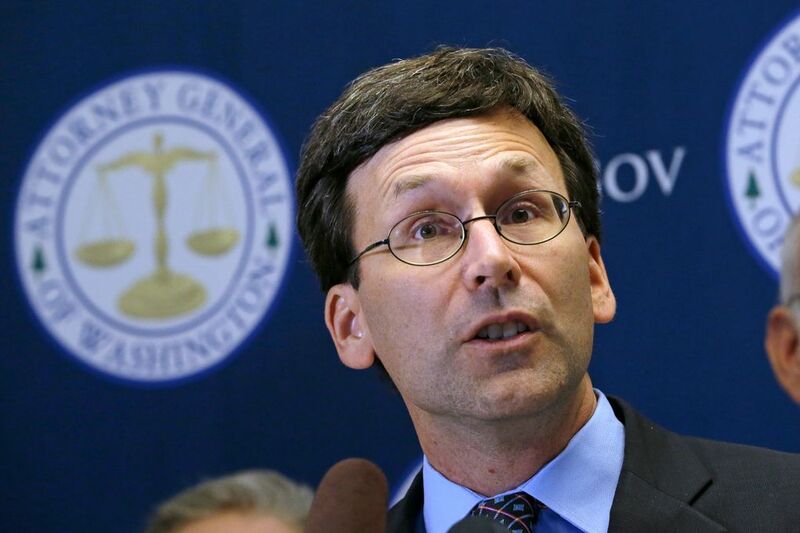 In 2015 alone, Washington state received more than $100 million dollars as a result of that litigation. My team is continuing the work Gregoire started. We are resisting efforts by tobacco companies to avoid their payment obligations under the settlement agreement. And we are winning. For example, last year my office prevailed in litigation that returned millions more to the state that tobacco companies had resisted paying. We plan on defeating them again this year. As a nation, we decided that 18-year-olds cannot purchase alcohol. Washington voters recently set the legal age to purchase marijuana at 21. I don’t see anyone in Olympia suggesting we should lower the age to purchase marijuana or alcohol to 18. Moreover, this bill will not change the rules on military bases. Service members can still buy cigarettes at our military bases when they are 18, though I don’t recommend it — and neither does Assistant Secretary of Defense Jonathan Woodson, M.D., citing not only the health effects, but the negative impact of smoking on military readiness. Washingtonians are clear where they stand on this issue. A recent Elway poll showed widespread, bipartisan support across the state for raising the sale age for tobacco and vapor products. I certainly know where I stand. I’m going to propose this legislation again next year — and every year until it passes. The Legislature just chose to protect Big Tobacco’s “key young adult market,” rather than our kids. Three-quarters of smokers want to quit. It’s time for legislators to kick their own shortsighted addiction to teen-smoking revenue.